The odds were stacked fairly high against Coach John Lair and his athlete, Chevi Peters. Doctors had predicted an early demise for young Chevi, telling his parents he wouldn’t live to see the age of three. 38 surgeries later, he was a beaten down teenager who weighed 98 lbs, his body covered in scars, his head and eyes perpetually downcast, he had fought more battles than he could bear. When Police called his brand new Special Olympics PowerLifting Coach John Lair, it was with awful news. Chevi had tried to kill himself by driving his car into oncoming traffic. Chevi had crashed his car and was sitting on a park bench rocking and sobbing and talking about wanting to die when Coach Lair arrived on the scene. The 300 lb mountain of a coach and the 98 lb teen held one another and talked and cried on that bench for hours together. After the tears, a promise to stop thinking about dying, and get busy living a new seemingly impossible dream, to become the greatest Special Olympic Powerlifter in the world. They had yet to lift a weight when Chevi drove that car into traffic. They have never stopped lifting weights, and one another since that day on the park bench. Chevi Peters won Gold medals in deadlift for lifting 350 pounds, squatting 275 pounds and for achieving a combination score of 785, an accumulation of how much he lifted in each category, which made him a three-time world champion at the Special Olympics World Games in Los Angeles. He did all this while weighing only 118 pounds! John Lair was recognized as the 2014 Special Olympics North America Coach of The Year, an honor awarded to a single individual among 120 thousand fellow volunteers. The impressive scope and contributions of all those coaches, puts the momentousness of this award into perspective. We encourage to listen and find out techniques that John and Chevi have used to achieve what people would believe to be impossible. Enjoy this episode of The Jim Huber Show! Every player wants that coveted college scholarship, but beyond being told to work hard, they don’t receive a ton of other information about how exactly to go about procuring the scholarship they want. For most parents it’s a mystery as well, as we struggle to find the right program and coach that can help our children make the jump to the next level. How much do grades matter? Do recruiting services work? Do college coaches actually watch “mixtapes” that players send them? Are Showcases the best place to be seen? What exactly are college coaches looking for when they come to see your son or daughter play? The answers to all these questions and much more in this edition of the Jim Huber Podcast with special guest and recruiting guru Cameron Belden. Cameron has held assistant coach positions at Cowley County Community College and Hutchinson Community College. Belden is a graduate of Wichita State University where he received his Bachelors degree. He also served a year as a student assistant under Head Coach Mark Turgeon. His two years of playing collegiately, combined with his coaching experience has taught him basketball recruiting from every angle. 70% of children, which means more than likely, your child, will walk away from the game they once loved by the time they are thirteen years old, never to play again. Basketballs are left buried and deflated alongside abandoned gloves, bats and soccer balls as kids flee today’s high pressured rat race that is youth sports. Think back to how much you loved playing and square that with the fact that 7 out of 10 kids say, “I don’t want to play anymore, it’s no fun,” largely because of the pressures placed on them by overzealous parents and coaches and programs with misplaced priorities. In this Jim Huber Podcast, solutions are provided to help keep your child’s joy alive and their development moving forward into their teens. You will be given questions to ask a club director and/or coach to make sure it is the right fit. You will also understand how to evaluate practices, games and workouts to verify you made a good decision. Troy and I were fortunate to visit with Scott Simpson who has spent years coaching basketball on all levels: 1 year in the NBA, 1 year at Division I, 3 years at Junior College, 10 years at High School and 4 years running a Basketball Club. He as well has had the experience of finding the right situations in soccer for his daughter who is only a freshman and is already getting recruited at the Division I level. 31:00- Who’s better Golden State or 1995-96 Chicago Bulls? #25 – Is Stan Van Gundy Right About Win At All Costs? Winning is important, but how you win is more important. In this JHS podcast, we examine how misplaced priorities in the form of trophies, medals and rankings have encouraged a “Win At All Costs” mentality, where all sorts of shenanigans end up taking place, all at expense of the true mission, developing players into young men and women who will be remembered for the way they played the game and lived their lives. Without proper player development and enjoyment of playing the game, players will never succeed at the higher levels because they won’t be good enough, they won’t want to practice and they won’t develop the important successful life skills. As coaches we need to put our egos aside and focus on developing the players to be the best they can be. Here are a few “Win At All Costs” strategies that don’t support long-term development: playing in zones at young ages, trapping with three different players, only playing your best players, sticking a big person under the rim never allowing them to touch the ball, constantly picking up better kids throughout the season, allowing poor body language/poor attitude, not showing up to practices but still playing over kids that show up all the time, running plays for one kid to get all the shots, etc. 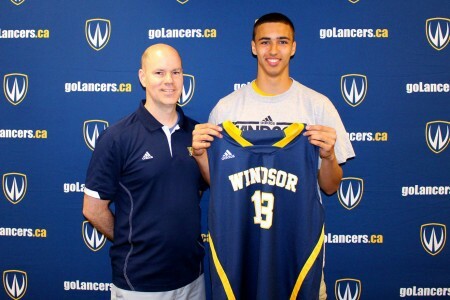 “University of Windsor Head Coach Chris Oliver has literally traveled the globe like Indiana Jones, seeking training and coaching treasures hidden in faraway lands. In this Jim Huber Podcast, we sit down with Chris after he recently arrived back in Canada after trekking through the USA, Europe, Hong Kong, New Zealand and Australia on an extended sabbatical with one mission, to learn everything he could by attending hundreds of NBA, College and Overseas Professional and Club practices. We will also go into Coach Oliver’s innovative Basketball Decision Training (BDT) and Zero Seconds Training. These systems will enable you to create game like situations that will drastically improve your players’ decision making and skill sets at the same time. This approach has helped Coach Oliver win an impressive seventy-five percent of his conference games and capture five OUA West regular season titles, two OUA West playoff titles, a Wilson Cup Ontario Championship, and earn two berths to the CIS National Championships. Coach Oliver is the founder and operator of Basketball Immersion. Basketball Immersion is a one-stop website dedicated to all aspects of playing and teaching the game of basketball. He is also the founder of COBA Basketball Camps and a camp director for Breakthrough Basketball. 7:17 – The value of BDT (Basketball Decision Training)? 20:29- How to use questions to get the buy in of your team? 27:51- What is Zero Seconds Training? 31:05- How do you use BDT in skill development work? Todd Johnson has always radiated a fierce energy on the sidelines as a Coach in the college and pro ranks, as well as with Nike sponsored MOKAN teams. This is a guy who was “working” the sidelines, moving, gesturing, pleading, leading and loving. You knew TJ was in the gym. He was a fiery presence. And then, he wasn’t. The rare form of cancer Todd was diagnosed with, poems syndrome, ravaged his body quickly, causing unbearable pain in his hands and feet. His body faded away in front of his fellow MOKAN coaches and his players, me included. It was hard to watch my friend go from that crazy Tom Creen energy, bouncing up and down that sideline, to a man sitting in a wheelchair, often in agony with what felt like razor blades in his feet. I’m happy to say I watched my friend and fellow coach walk in on his own and up and down a flight of stairs to record this podcast. I truly believe we are defined by our responses to adversity in our lives. When TJ found out he had cancer he took it on with the same ferocity he had as a player. We competed with one another since we were 13. He was one of those cocky, confident tough guys that you start off hating when you play them. TJ was always jawing, talking, and he could play. He had preached toughness to his MOKAN players. When cancer struck, it was time to show them. 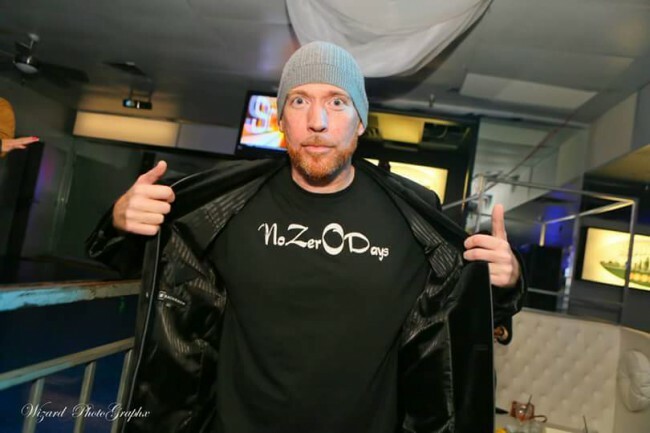 From the darkness, his one man movement, No Zer0 Days, was born. His daily focus to regain his health, his hard nosed approach to his physical therapy, his toughness and ability to grind inspired his MOKAN players. In the midst of his recovery, he began speaking about the lessons cancer taught him, and the lessons he taught cancer, when it was “game on,” as he says. We covered a lot of topics in our interview, from dealing with unknowns, developing a successful daily focus, importance of toughness and the value in leading yourself. I want everyone to hear it. Please listen up! In this Jim Huber Podcast, you will learn Don Kelbick’s comprehensive system that simplifies the game for players at all levels and all positions. As the name implies, it’s based on an “attack” and then “counter” philosophy. It’s incredibly simple when compared to other skill development programs. Yet it works with NBA and pro players at the highest level as well as players at the youth level. 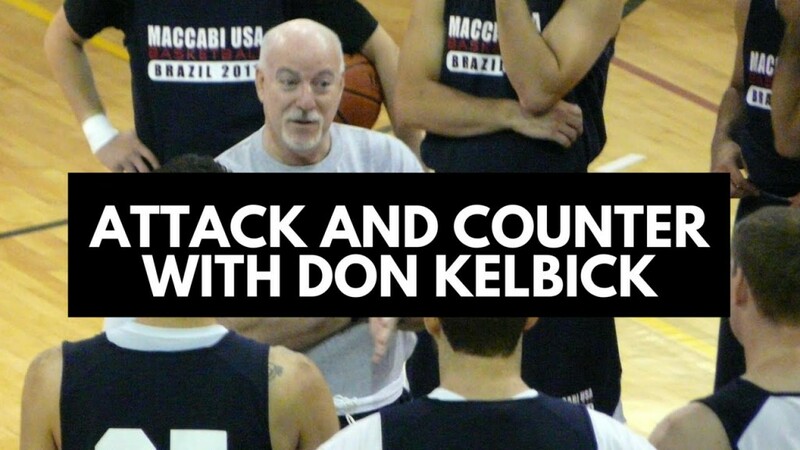 Don Kelbick understands basketball and player development so well, that he has dramatically simplified the moves, the mentality, and the way you practice your skills. He doesn’t believe in the shot fakes or reading the defense, and his “triple threat” is completely different from basketball’s traditional shoot, pass or dribble mentality. Breakthrough Basketball’s Don Kelbick is one of the most unique thinkers in basketball, and the NBA and world basketball community are listening. Coaches like Jeff Van Gundy have trusted Don and his methods to develop the skills and mentality that players need to succeed in the toughest league in Earth, the NBA. Players like Raja Bell, Bruce Bowen, Carlos Arroyo and JJ Barea have all revolutionized their game skills and mental approach to the game under Don’s unconventional approach to skill training. In this Jim Huber Podcast, you will learn coaching and training secrets from a man who has literally spent his life immersed in the game as a player, a college assistant and head coach, an NBA Scout, and now one of the most sought after skill and mentality trainers in the USA. As we produced this particular podcast, we marveled at the depth and unconventional wisdom Don shared. This podcast is a goldmine for coaches, skill trainers and players alike and you will have your traditional beliefs challenged. Don is an out of box treasure! Today, nearly every professional sport incorporates mental training. The U.S. Olympic Committee now has five full-time sports psychologists, and many more athletes meet with independent specialists. One of the best in the business, Dr. Michael Gervais, is claimed to be a secret weapon to professional athletes and sports organizations. Dr. Gervais combines state-of-the-art brain mapping techniques with an approach grounded in high-performance psychology. The result is a completely individualized performance plan that allows each person to train by fully engaging both their mind and brain toward that personal best. Coach Pete Carroll entrusted him to help him develop a successful culture with the Seattle Seahawks. Over that period, they have created a vibrant environment that produced back to back Super Bowls and Super Bowl 48 Champions. He recognizes that, like athletes, all of us are required to perform daily. We all navigate our own high-stakes environments and can benefit just as much with the right training. Ultimately, Dr. Gervais’ goal is to create amazing journeys for clients while exploring their boundaries of human potential. In this Podcast, Dr. Gervais discusses how the Seattle Seahawks have been able to develop a successful culture without talking about winning. You will find out how coach Pete Carroll was able to not let a heart wrenching Super Bowl 49 destroy the culture they worked hard to build. You will learn techniques that he uses to help athletes succeed under pressure and to bounce back quickly after mistakes. There is so much great information throughout his interview. Our hope is this podcast will help coaches, parents and players to develop the proper mindset to be at your best each and every day!